While you may know what cybersquatting is generally and what potential legal action you can take for remedies under the Anticybersquatting Protection Act (“ACPA”), not knowing specific techniques used by cybersquatters may leave you unaware that you are currently being or have been a victim of cybersquatting. Cybersquatters use a variety of techniques to benefit from your trademark, so it is important for you to understand the variations of a cybersquatting in order to identify if your trademark has been illegally infringed upon by a cybersquatter. One common form of cybersquatting is typosquatting. Typosquatting as a practice can be defined through a few different methods, which include misspelling or phrasing, as well as using a separate top-level domain (TLD). Misspelling or phrasing occurs when cybersquatters change the spelling of words or phrases slightly to benefit from internet users common typing mistakes to attract attention to a fake domain based on a misspelled legitimate domain, such as traverslegal.com instead of traverselegal.com. Notice the missing “e” in the first spelling? If not, you aren’t alone. Another variation of typosquatting is top-level domain swapping by simply changing a .com domain to a separate TLD domain such as .org, or .net. A notable example was whitehouse.com, which adversely affected whitehouse.gov by displaying pornographic material. Mistakes in knowing which TLD is associated with a site like this are common, and cybersquatters take advantage of these mistakes by setting up a fake website cosmetically designed to imitate the original, and adversely affect your trademark by stealing your web traffic, compel you to buy the cybersquatted domain, or simply by spreading malware using your brand name. Another form of Cybersquatting is a type of Identity theft associated with the registration of domain names. There are software products that a cybersquatter can use to monitor domain registration expiration, and if the domain is not renewed in time, they can purchase that domain, and either imitate your website to make your site’s visitors believe that the cybersquatter is you, or perhaps worse a website with your competitor’s products or services and redirect them to that site or advertisements that contain your competitor’s products or services. A final type of cybersquatting is known as reverse cybersquatting or otherwise know as reverse domain hijacking. This is the practice of brand owners attempting to secure a domain name legally owned by another person and who is not otherwise a cybersquatter. A brand owner may claim that they own the rights to your domain, and threaten legal action unless you transfer that domain over to them. This practice by the brand owner is often perpetrated by large companies or famous individuals and is an abuse of their trademark rights making wrongful claims against your rightfully held domain name. 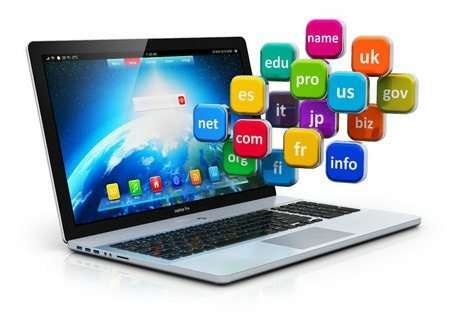 If you believe any of these bad-faith cybersquatting techniques have been utilized to adversely affect your domain, do not hesitate to contact a Traverse Legal attorney with expertise in dealing with Cybersquatting issues like these.